is president of Jarvet Consulting and helps companies to dramatically improve performance. Since 2006 we have helped dozens of companies and software teams improve their processes and productivity. We have worked with such industries as telecom, IT, outdoor media, government, non-profit, education, banking, insurance and energy. 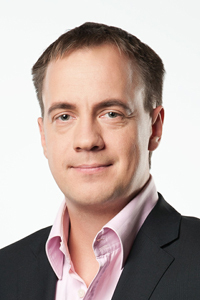 Before starting his own firm in 2006, Hanno worked in the software/IT sector in Estonia in sales and management positions. Hanno has Swedish and German high-school diplomas from the Stockholm German School, a Bachelors Degree in IT Management from the Estonian Business School and Business Administration Double Diploma from Hogeschool NOVI in Holland. He has co-founded Agile Estonia, a non-profit organization that organizes regular agile conferences in Estonia. He is a senator and past national president of Junior Chamber Estonia. Hanno lives in Tallinn, Estonia with his wife and son.